ABOVE: Edgar and Naomi Bermudez shuffle rock that will be used for the foundation of their new home in Wasco. 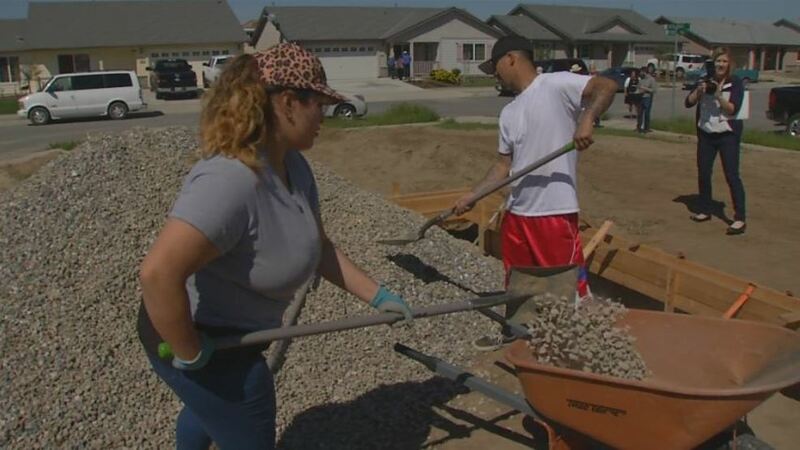 Dozens of families in Wasco are building new homes for each other, taking part in a program funded through the U.S. Department of Agriculture and guided by the nonprofit, Self Help Enterprises. The new homeowners don’t need a dollar for a down payment. Instead, they are required to do 40 hours of work on the home every week. The development in Wasco consists of 33 homes, with 10-12 in each of three waves.